We’re expecting! The old-fashioned way! We are excited to announce that we are expecting! This was an unexpected surprise, and we have been nervously waiting for the past few months to confirm that we would have a viable pregnancy. We had our 12 week ultrasound today, and the baby is healthy and thriving! Obviously, we are amazed and overjoyed, and so excited for Jafta to have a sibling so close in age. 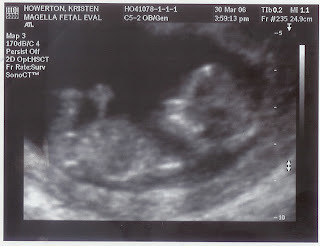 We are attaching a picture of the little guy (or girl). We woiuld certainly welcome your prayers in the coming months that we will have a healthy, full-term pregnancy. God is good!